Our new collection is inspired by nature, purity and positivity. 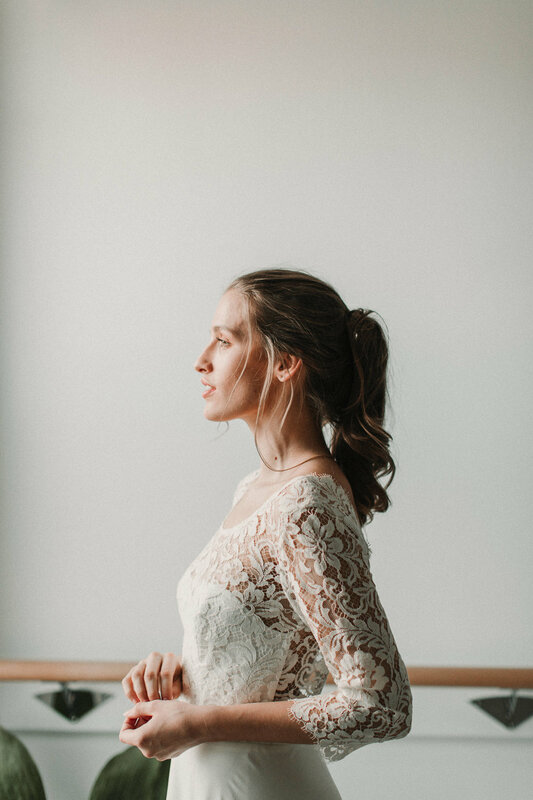 Gorgeous fabrics have been personally selected from sustainable sources, which are handmade by UK seamstresses into a beautiful range of gowns. 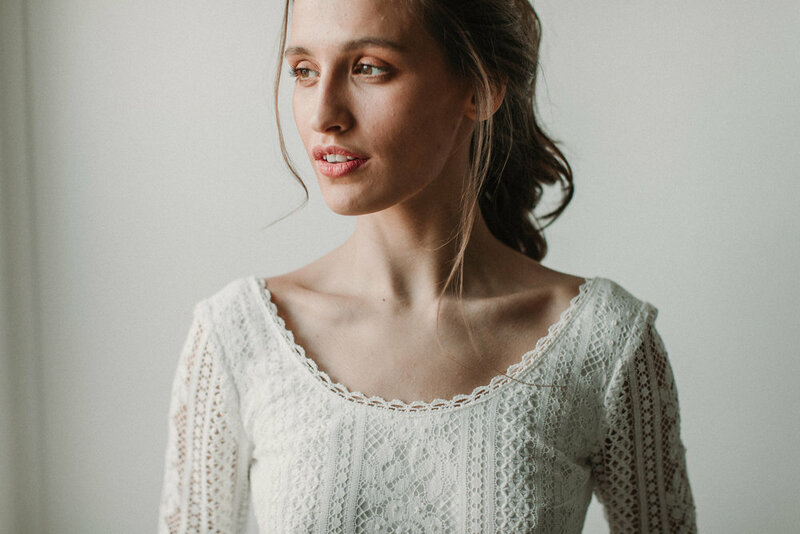 Every design is adorned in completely natural materials, including pretty floral lace, floaty delicate chiffon, pure pearl buttons and organic peace silk. 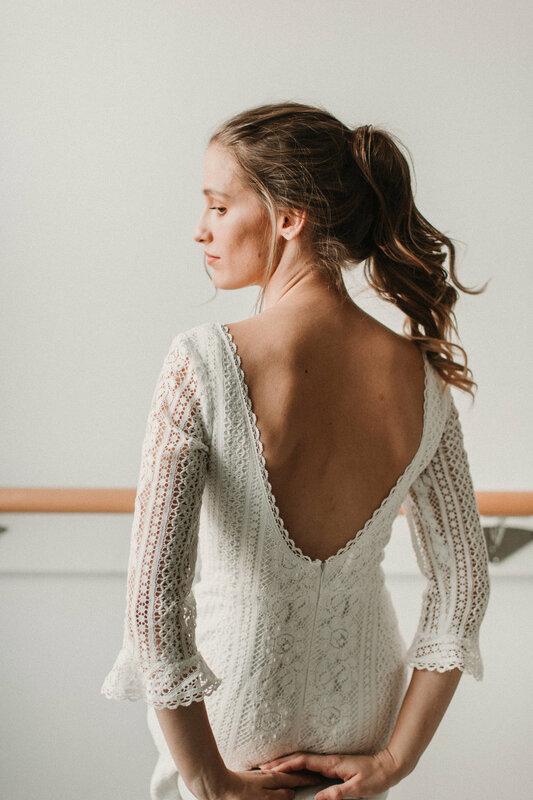 We listened to our brides about the styles and cuts they love, using their influence to create flattering silhouettes of fit and flare skirts, long sleeves, sheer back and bardot necklines. The full range was displayed at the prestigious One Fine Day Bridal Show at London Bridal Fashion Week. 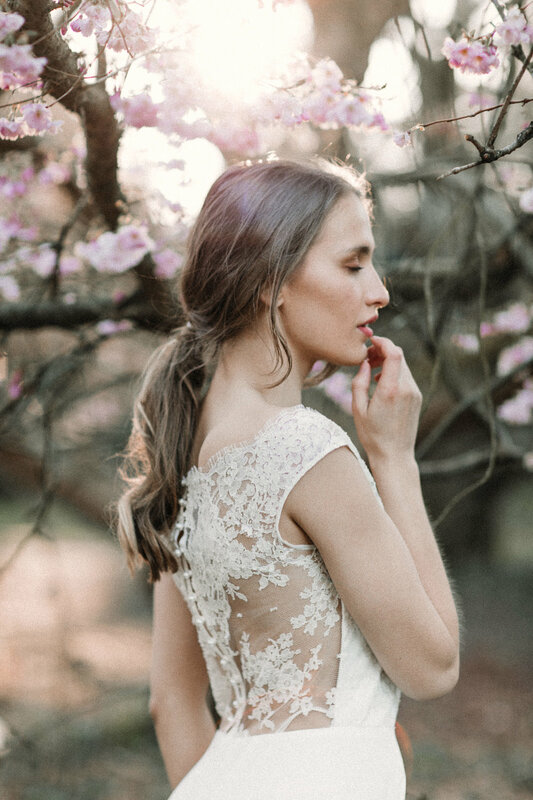 You can now view our collection online and come to visit our Harrogate bridal studio or one of our stockists to try it on. Worldwide shipping available. 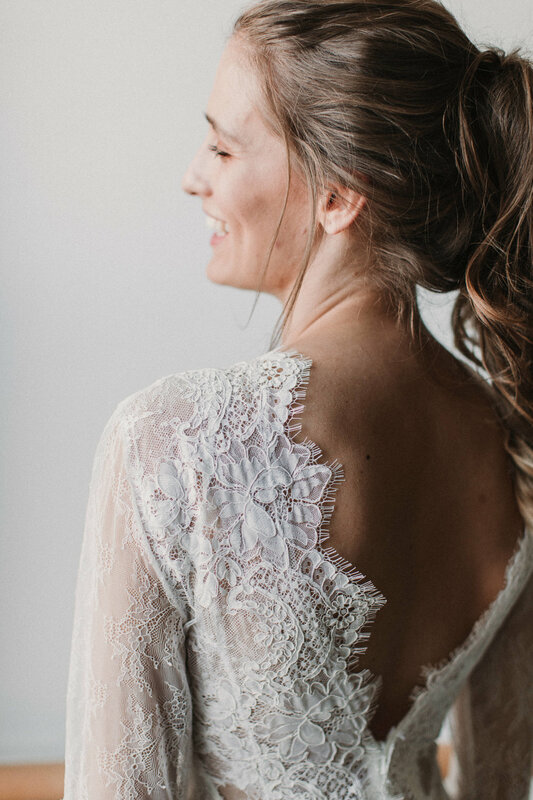 Please contact Keely at hello@lunabride.com for more information. We hope you love the new dresses. Luna Bride With Love Film. Was it always meant to be? Was it fate? Does it even Matter? My heart was full. I cried the first time i saw my reflection, it was subtle, but remarkably beautiful. In that moment i felt connected to everything; the sand under my feet, the smell of the fresh sea air and the last of the ocean rain. I was in slow motion. I walk down this isle with mother earth and father sky by my side, and so to my guests of nature who watch me whilst i commit every part of myself to this man. I am a Luna Bride, with love.